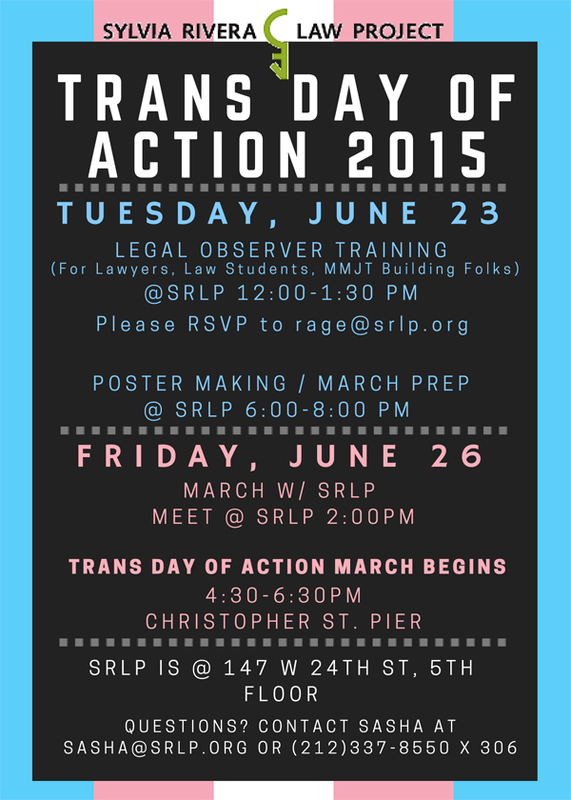 Come join SRLP on Tuesday, June 23rd, 12:30 pm to 1:00 pm, at our office for a legal observer training for Trans Day of Action! This training is for anyone who wants to support Trans Day of Action as Legal observers. Legal observers help keep our community safe by observing the police, the public, and the rally and providing legal advocacy if necessary. This legal training to open to lawyers, law students, and members of the Miss Major-Jay Toole Building.